Social interaction is one of the main drivers of play. 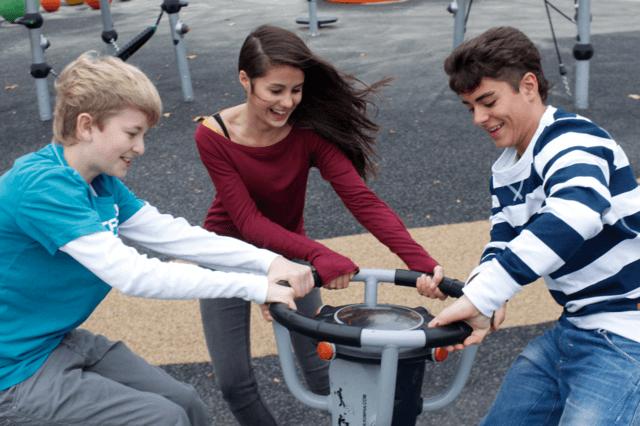 The playground is so much more fun when you can meet others there. That goes for all ages. The joy of playing or being with others is a main human urge, across ages, decades and cultures. when really absorbed by play. Because when conflicts start, play stops, and when play starts, conflict stops. Children can only play when they are on friendly terms. 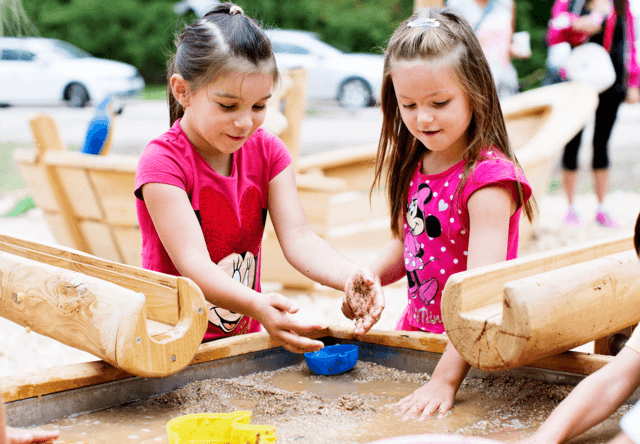 the social-emotional, the physical, the cognitive and the creative play events and how they are best supported in the play equipment and by the playground design.